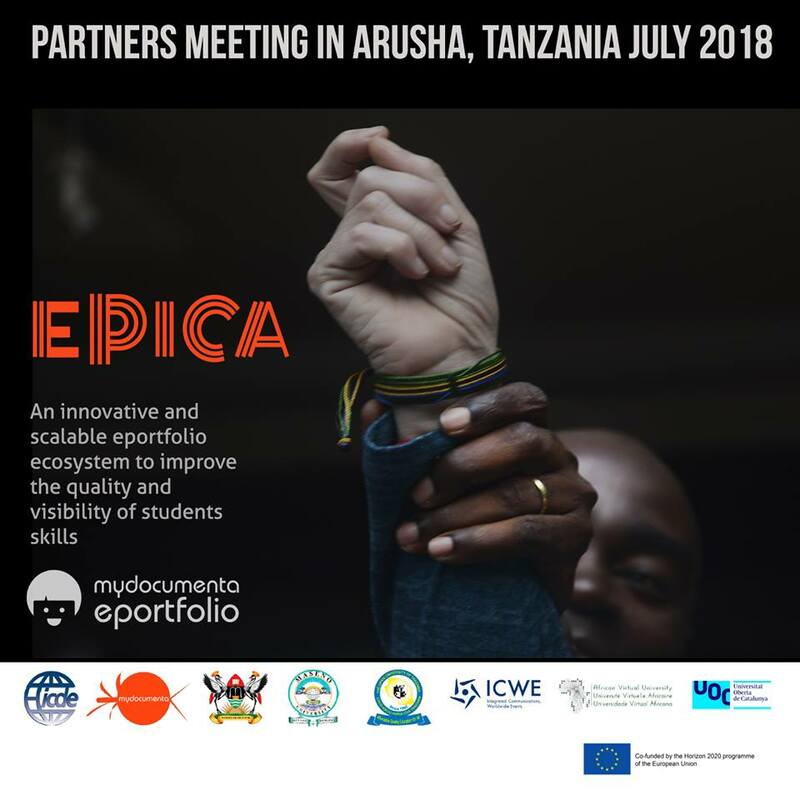 The second face-to-face meeting of EPICA was held in Arusha (Tanzania). The main goal of the meeting was to share with all the partners the tasks and advancement of the project in these 6 first month. Lourdes Guàrdia and Marcelo Maina from Edul@b presented the work done till now: a preliminary literature review about the employability skill gap in the sub saharan area, some conclusions about the pedagogical requirements to be taken into account to design the new EPICA ePortfolio ecosystem and the next training actions for the participants in the pilots to be held in 2019, and finally the design and the results of the pre-pilot training addressed to a reduced group of teachers representative of the 3 African universities (teachers started using MyDocumenta ePortfolio and learned about how to design and evaluate learning activities based on competences). The Edul@b team involved and contributing to EPICA is composed by Lourdes Guàrdia, Marcelo Maina, Albert Sangrà, Federica Mancini, Ana Rodera and Pedro Jacobetty.